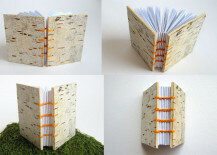 Next we see the Plain Edition of Tuesa (note that there are no threaded accents). The striking angles and the surface of the birch bark take center stage. 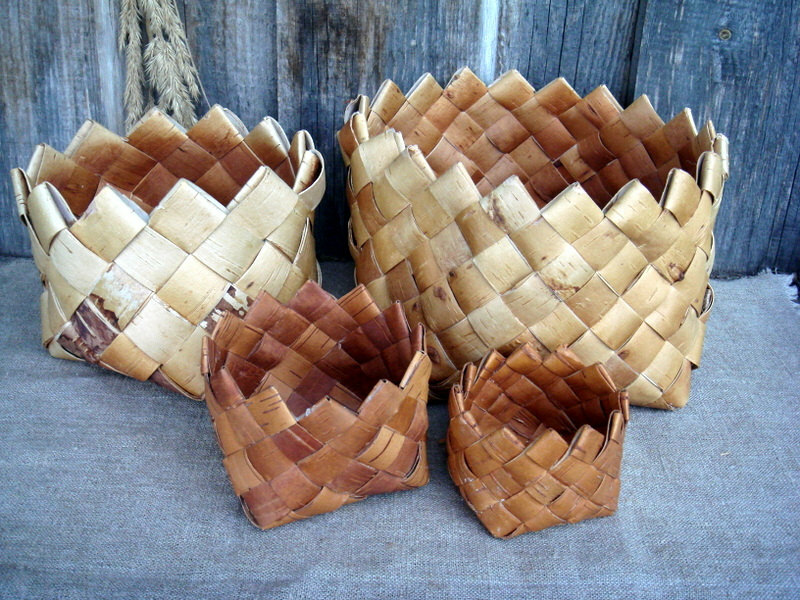 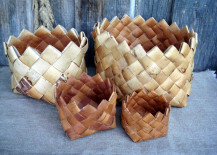 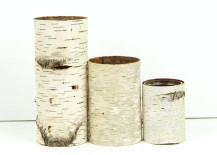 If you’re wanting to browse an array of affordable birch bark finds, Etsy is the place to look! 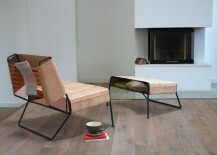 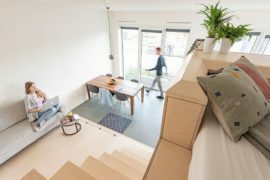 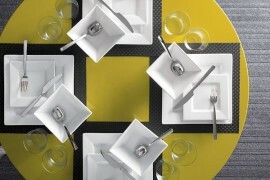 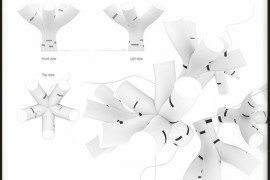 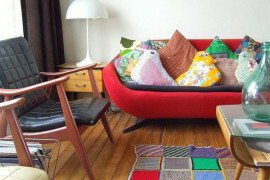 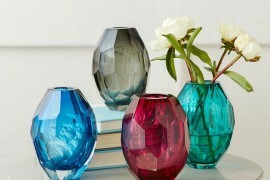 There you will discover a range of interesting creations that breathe new life into a beloved material. 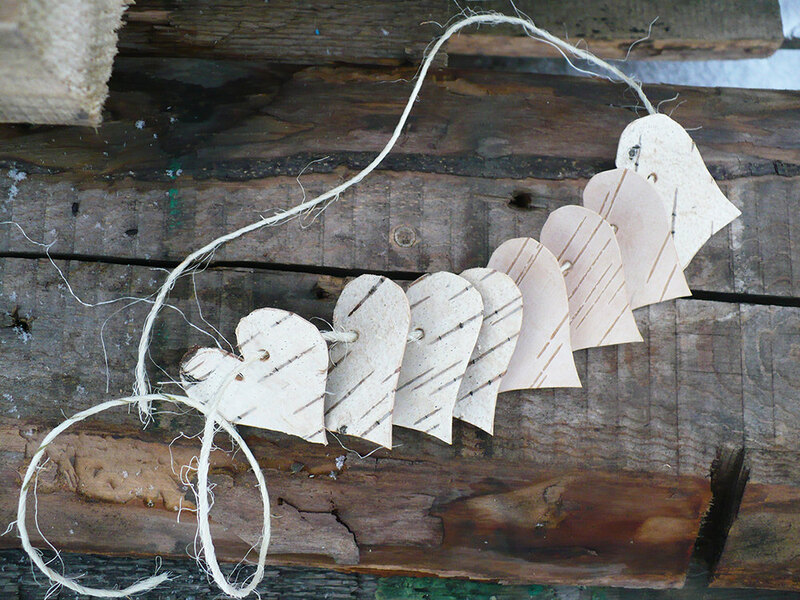 This package of 8 birch bark hearts from Etsy shop CrazyBirch is a great buy, and the hearts can be used as labels, garland supplies and more! 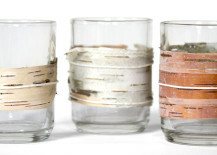 These birch bark-wrapped bowls from Etsy shop Fashion Silk Flowers take clean-lined glass containers to new heights. 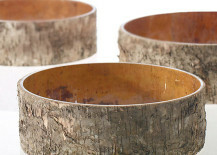 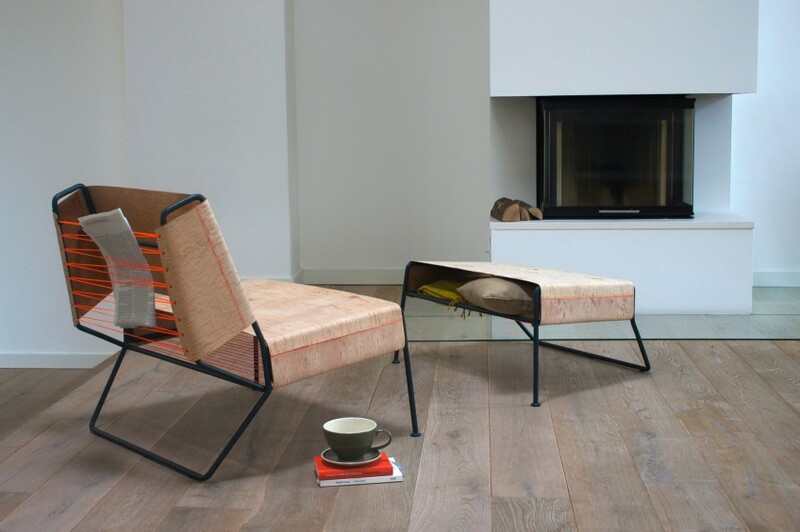 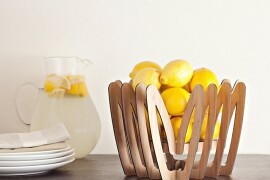 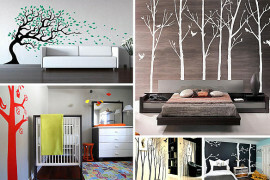 Perfect for interiors with rustic-modern style! 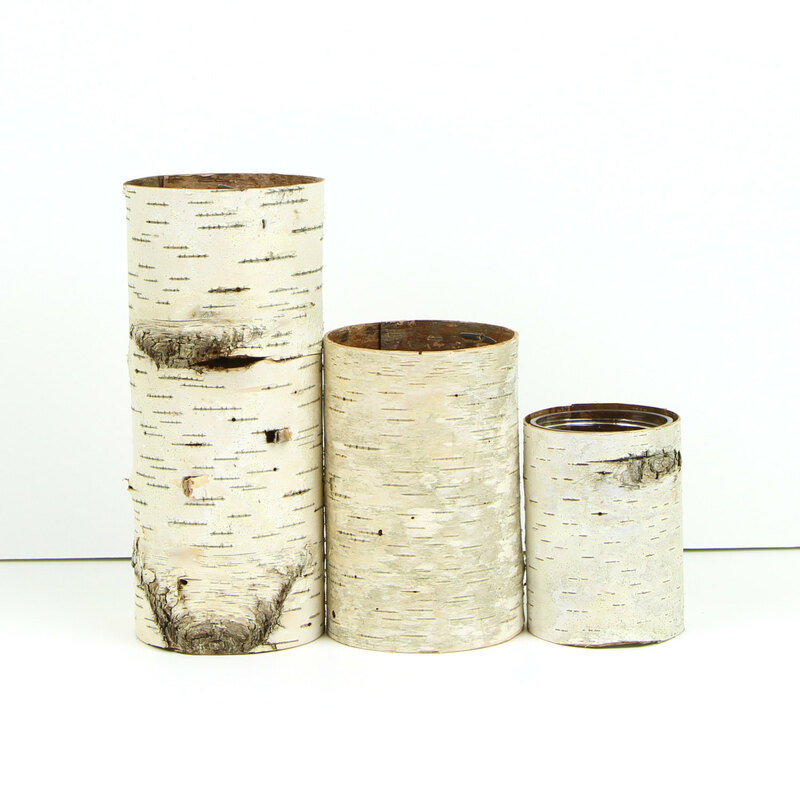 With the look of birch logs, this collection of 3 birch bark vases from Etsy shop Bettula features selections in large, medium and small. 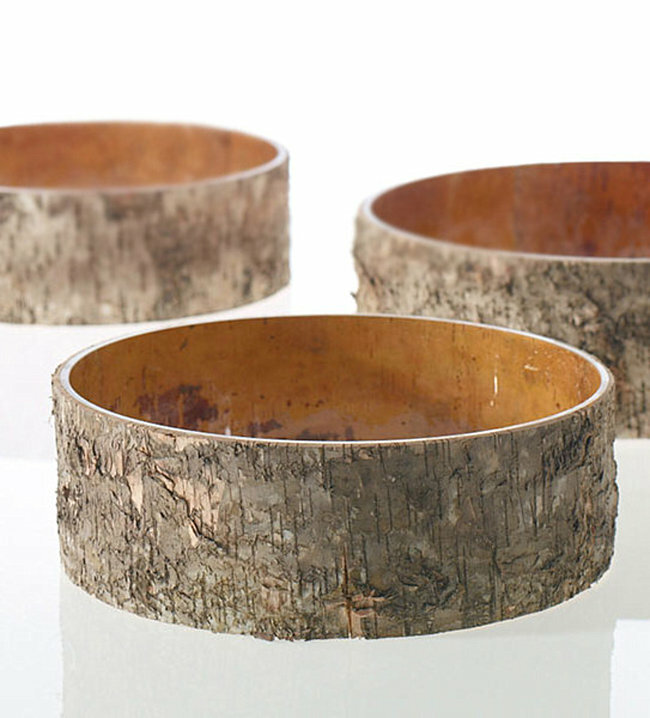 Perfect for a winter tablescape! 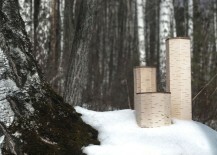 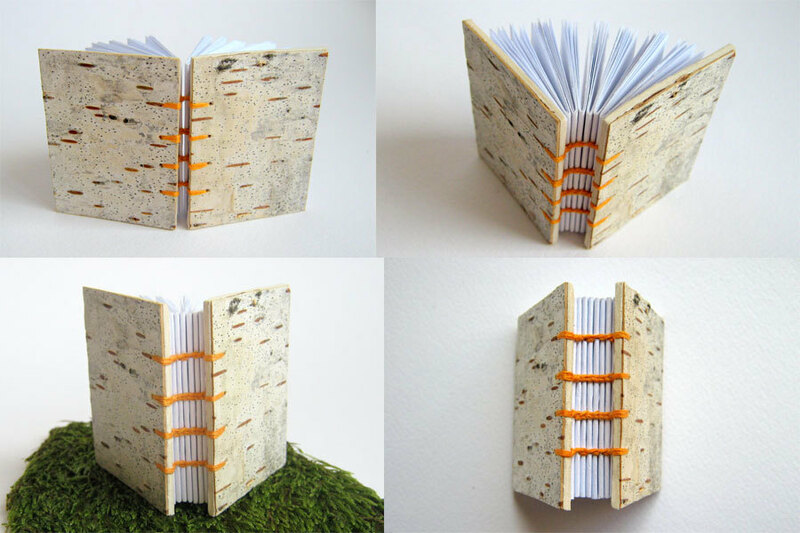 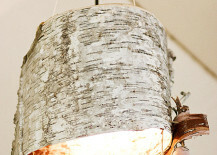 We end today’s post by featuring two DIY projects that celebrate the simplicity of birch bark. 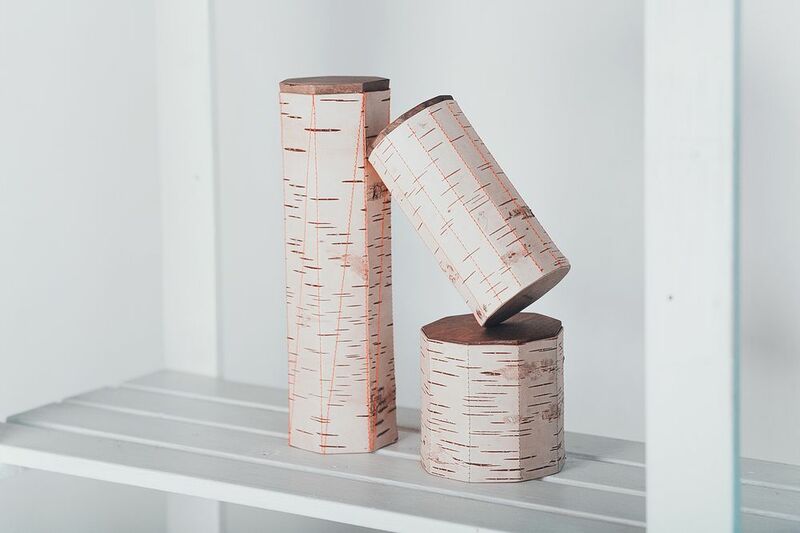 In fact, these DIY Birch Bark Candle Holders from My Kitchen Sink are super easy to make, especially since all you have to do is wrap the thin outer layer of birch bark around a glass candle holder and secure it with twine! 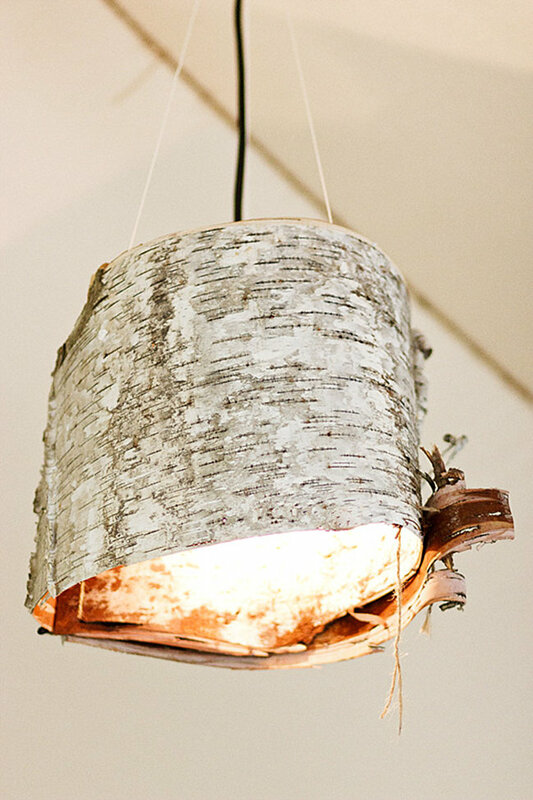 Last but not least, Ruffled offers a tutorial for DIY Birch Bark Lamps that is easy to follow and filled with great pointers that make the project safe and effective. 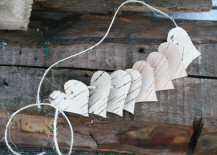 Instant rustic flair!